Hospitality managers face an array of unique staffing challenges every day, at all hours. Shiftboard provides instant, agile employee scheduling for hospitality businesses. Shiftboard is made for large workforces so our hospitality staff scheduling software can meet even the most complex hotel staffing needs. Our tailored features, including real-time schedule access, text alerts, and labor reporting tools, help you manage complex schedules and multiple locations seamlessly. You can also proactively manage cost overruns before they happen with real-time labor forecasting reports. We’re dedicated to your scheduling success, so we guide you through the onboarding process and offer robust support after you have Shiftboard set up. Monitor attendance anywhere, on any device. Shiftboard is mobile and accessible 24/7. Fill shifts quickly and accurately online. Let staff sign up, auto-schedule, or assign shifts yourself. Instantly alert employees of changes in start time, location, uniform, and role. 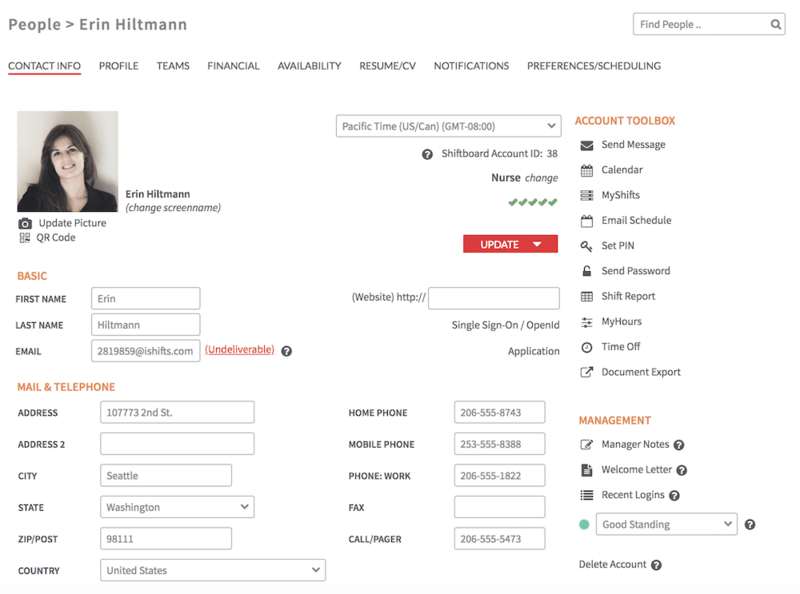 Easily manage applications and onboarding with candidate details saved to online profiles. More time for value-adding activities instead of scheduling, calling substitutes, and trading shifts. Whether you manage a large hotel, cruise ship, or another hospitality venue, Shiftboard adapts to you. Shiftboard helps hospitality and entertainment industry professionals easily streamline onboarding, manage employee clock-in and out, and find last-minute replacements quickly. Additionally, Shiftboard helps managers easily track equipment and maintain staff communication via text or email, and troubleshoot any issues that arise. Easily manage your staffing requirements to make sure each shift has the right mix of skill sets and qualifications. Store important staff information in online profiles and set schedule parameters to simplify compliance and automatically account for factors like seniority, union status, pay rates, and more. It’s simple to upload documents and update info to keep records current, and auto-assign schedules. Hospitality staff coordination is made easier with online schedule access, real-time updates, and instant communication. Shiftboard can also scale to multiple locations. Always know exactly who’s working, who cancelled, and when. Automated shift alerts get the right people to the right place, on time, every time. Improve communication with text alerts to immediately update staff when schedules change or new shifts are available. Staff or volunteer—Shiftboard shows you who’s available, so filling in for no-shows is a snap.